Dr. Phillips graduated from the University of Tennessee Health Science Center. She received a Bachelors degree in Biology with a minor in religion from Lee University. Prior to dental school, Dr. Phillips worked as a registered dental hygienist in a variety of practice settings, including periodontics. 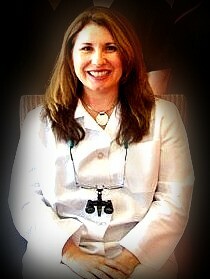 She has over twenty years of experience in the dental field. Dr. Phillips is an Associate Fellow of the Academy of GP Orthodontics. Dr. Phillips offers all general dental services, including orthodontics and implants. She is a strong believer in continuing dental education. Since completing dental school, she has completed a two-year orthodontic training course for general dentists, as well as an implant course at the UT School of Dentistry. She is an active member of her church and enjoys reading, gardening, running 5k races and spending time with family and friends.